Let's Take A Shelfie: Phenomenal Female Authors Reception & Signed Book Giveaway! Phenomenal Female Authors Reception & Signed Book Giveaway! I started my blog in January to help me achieve my New Year's resolution of reading 50 books in 2015. I had no idea that this resolution would turn into what my blog is today. Over the past three months I've had the pleasure of engaging with fellow book lovers from publishers, to other book bloggers and even authors. But I feel as though my status as a "Book Blogger" was solidified when I attended my very first book event. 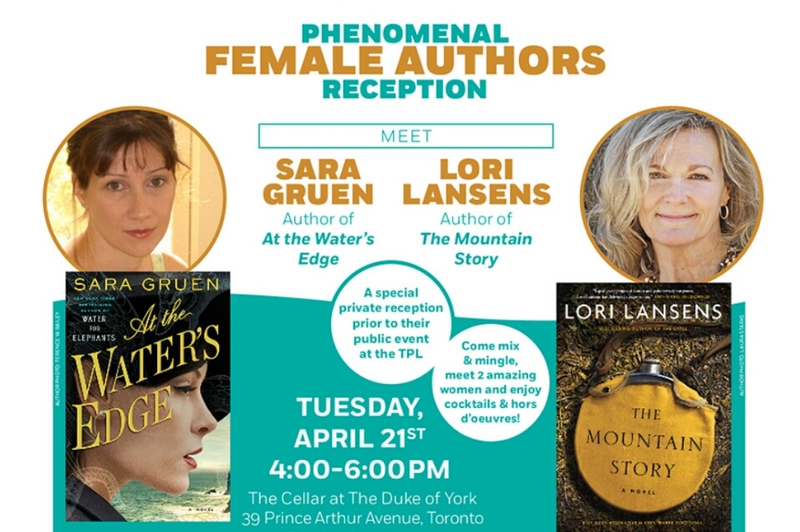 On Tuesday April 21, the girls at Random House of Canada invited me to the Phenomenal Female Authors Reception. The event was to in celebration of two amazing Canadian born authors. 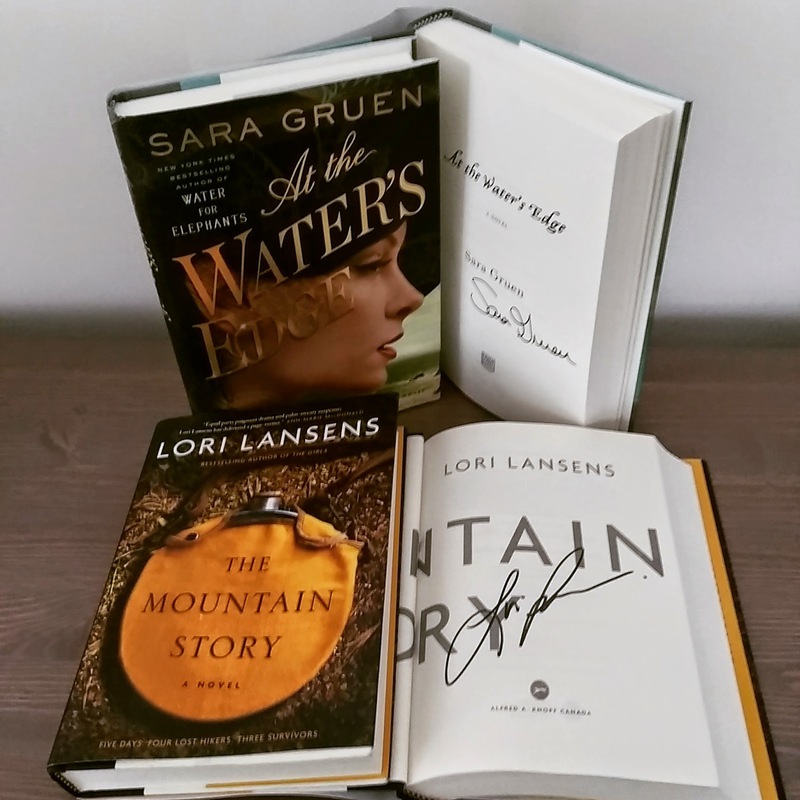 Sara Gruen who recently released At The Water's Edge and Lori Lansens who released her latest book The Mountain Story this month. The event took place at The Cellar which is located in the basement of the Duke of York in Toronto. The event was an intimate affair which gave the attendees an opportunity to speak to Lori and Sara as well as get their autographs. Both authors were a delight to speak to and were absolutely hilarious. I also had the pleasure of finally meeting the wonderful team at Random House Canada and fellow book bloggers who I have only engaged with via email or on social media. Overall, it was a fun evening and I hope to do it again soon! I have quickly learned that the book community is filled with such enthusiastic and amazing people. I can't wait to meet more of you so, I'm hosting a GIVEAWAY! 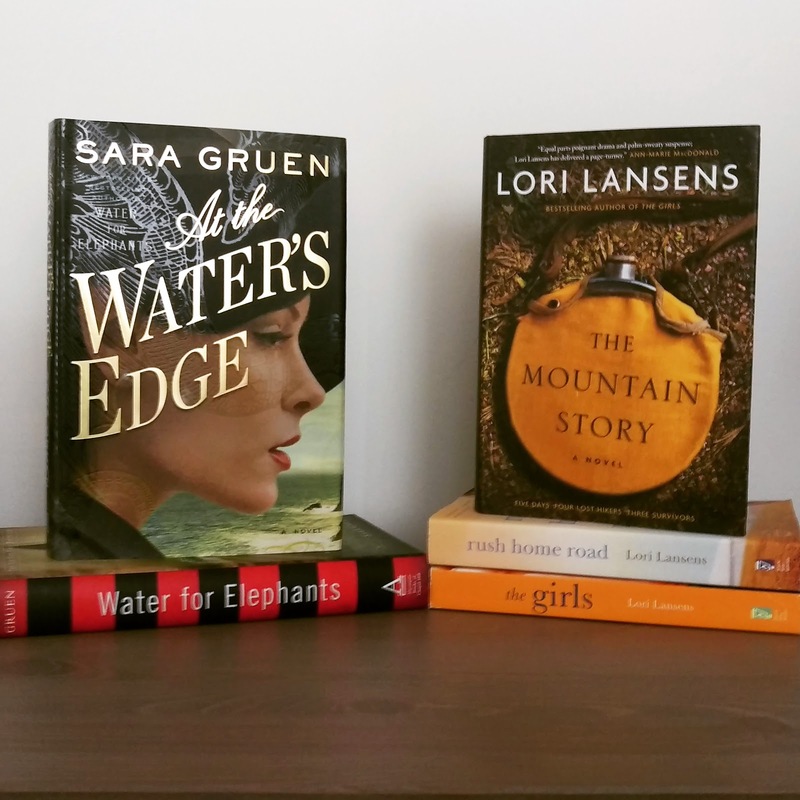 I have read At The Water's Edge and The Mountain Story and they're both high up on my favourites list for 2015. While at the event, I managed to get an additional SIGNED copy of each book (Thank you Random House Canada!) and I would LOVE for one of my readers to win them both. The contest will be open from April 27, 2015 at 12am to May 4, 2015 at 12am. Check out the Rafflecopter widget below to enter & GOOD LUCK! This contest is only available to residents of Canada. How lucky you got to go to that! I feel very lucky to have been a part of it. It was my first event and I hope it's not the last. Thank you for stopping by!